Nebraska se encuentra en medio de un auge de la energía eólica: es uno de los siete estados en vías de duplicar la capacidad de su parque eólico instalado en los próximos años. Al igual que muchas comunidades rurales de los EE. UU., Esto ha traído beneficios de gran alcance para el estado. 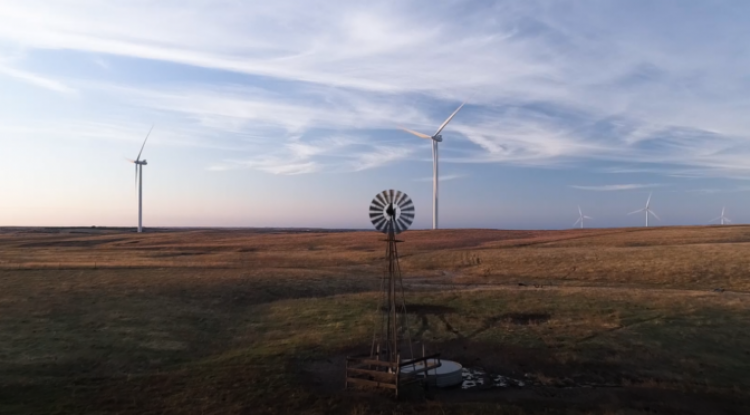 // Nebraska is in the midst of a wind power boom– it’s one of seven states on track to double its installed wind farm capacity in the coming years. Like many rural communities across the U.S., this has brought wide-ranging benefits to the state. Over 99 percent of the American wind turbines fleet is based in rural communities. These wind projects bring huge economic benefits to towns across the country, like job creation, lease payments for farmers hosting turbines, and new tax revenues that support local infrastructure and fund law enforcement. We recently traveled to Nebraska to hear firsthand about the opportunities wind is creating there.